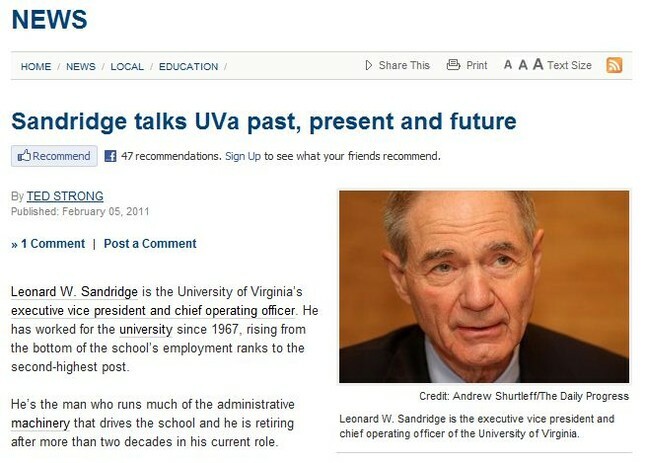 Leonard Sandridge ('60), Executive VP and Chief Operating Officer of the Univesity of Virginia, is retiring this year and recognition of his achievements is a continuing theme in and around Charlottesville. The Daily Progress included an interview with Leonard in a recent issue. called "the man who runs much of the administrative machinery that drives the school," he talks about UVa;s past, present and future in the interview. 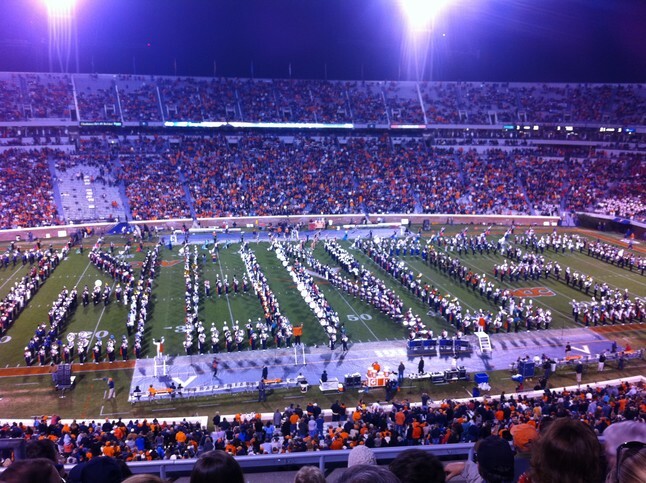 Leonard also received a rare honor in November at a UVa football game when the band played a medley of his favorites as they spelled his name on the field during half-time.